Rich Patton Blues and More . . .
Rich Patton Blues and More, features Rich Patton (Omaha) performing an eclectic program of blues, rock n' roll, country, and various other genres. 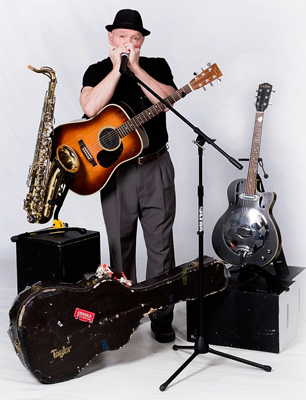 Using a loop station, which allows him to digitally record his accompaniment during performances, Patton is able to accompany himself as he solos on guitar, blues harmonica, sax, slide guitar, and voice! At the press of a pedal, the accompaniment repeats, allowing him to add a seemingly endless variety of sounds to his engaging one-man show. 12:05 p.m. Free. 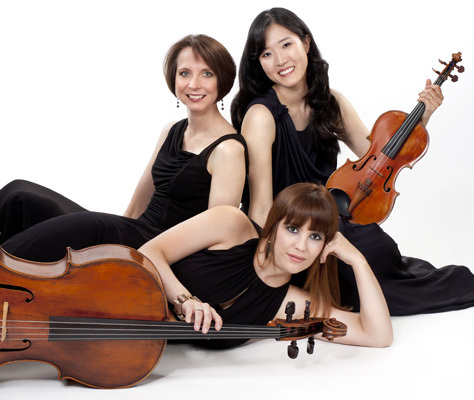 The Rawlins Trio, featuring USD Music Department faculty members, Eunho Kim (violin), Marie-Elaine Gagnon (cello), and Susan Keith Gray (piano), join NMM Collections Manager, Rodger Kelly (harpsichord) in a lively program of Baroque and Classical music. 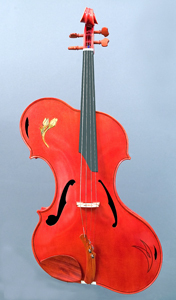 Vivaldi's cello sonata VIII, RV 39, will be featured along with Beethoven's Piano Trio, Op. 1, No. 1. 12:05 p.m. Free. Soulful, original songs for voice and guitar presented by Mat D, Sioux City. 12:05 p.m. Free. The Rawlins Trio, featuring USD Music Department faculty members, Eunho Kim (violin), Marie-Elaine Gagnon (cello), and Susan Keith Gray (piano), and USD vocal faculty members Tracelyn Gesteland and Brandon Hendrickson, join forces to present an evening of German music including piano trios by Schubert and Brahms, as well as Lieder about abandoned maidens, including Mädchenlied by Brahms, Das verlassene Mägdlein by Wolf, and Gretchen am Spinnrade by Schubert. 7:30 p.m. Free. 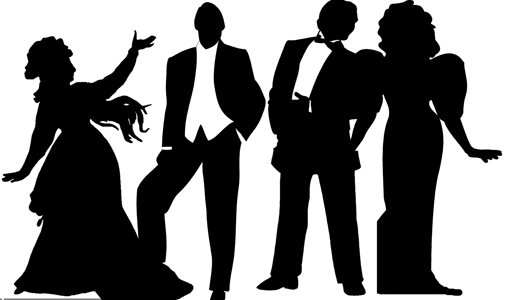 The talented Vermillion Opera Quartet with Gretchen Burbach (soprano), Tracelyn Gesteland (mezzo-soprano), Thor Gesteland (tenor), Brandon Hendrickson (baritone), and Susan Keith Gray (piano), present a variety of hits from some of the greatest musicals of all time. 12:05 p.m. Free. 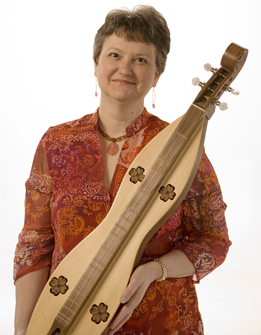 Gail Dooley, soprano, from Morningside College (Sioux City) presents Appalachian Love Songs and the Mountain Dulcimer. 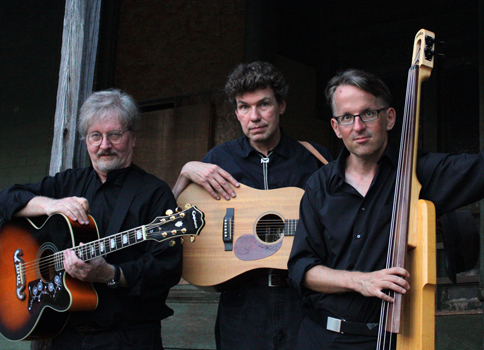 Dooley's performance will highlight the origins of Appalachian folk song and the development of the mountain dulcimer—both created by melding together German and Scots-Irish folk music traditions. The program will include Appalachian love songs and traditional fiddle tunes, played on the dulcimer, along with ballads that crossed the ocean with immigrants from the British Isles. 12:05 p.m. Free. 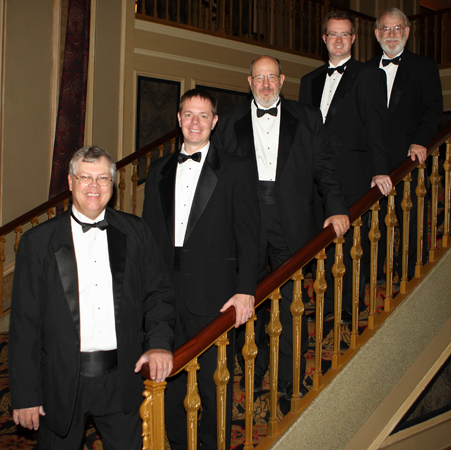 The Touch of Brass Quintet (Wakefield, Nebraska) will perform a varied and animated program for your listening pleasure. Personnel include Keith D. Krueger, trumpet; David Bohnert, trumpet; Gary Reeves, horn; Randall Neuharth, trombone; and	Josh Calkin, tuba. 12:05 p.m. Free. Jazz Inspired Works for Solo Clarinet will be presented by John Klinghammer (Omaha), Adjunct Professor of Clarinet at USD. 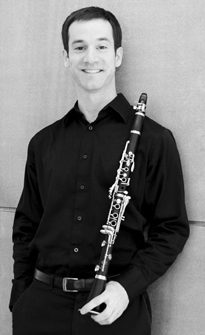 Currently serving as Assistant Principal/E-flat clarinet with the Omaha Symphony, John received his B.A. from the University of Oregon and his M.M. and D.M.A. from the USC Thornton School of Music, where he studied with Yehuda Gilad. Klinghammer has been Principal Clarinet of the Debut Orchestra and the Des Moines Symphony, as well as a member of the National Repertory Orchestra and the Jacksonville Symphony. He teaches at the College of Saint Mary and maintains a private studio, where students must contend with the strong opinions of his canine teaching assistants, Sofi and Leo! 12:05 p.m. Free. 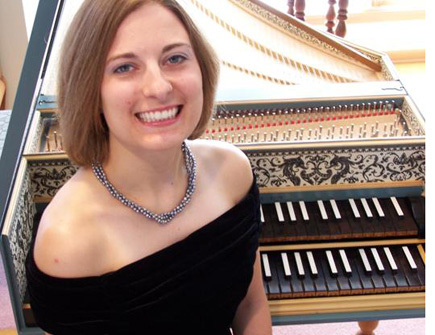 New York-based harpsichordist Bethany Cencer will perform François Couperin's poignant 26th Ordre in F sharp minor, selections from Rameau's 1724 Pièces de clavecin including the ferocious Les cyclopes, and J. S. Bach's final Partita No. 6 in E minor, all on a harpsichord from the NMM's prestigious keyboard collection. Cencer will explain how playing such an antique instrument influences her musical interpretations. 12:05 p.m. Free. 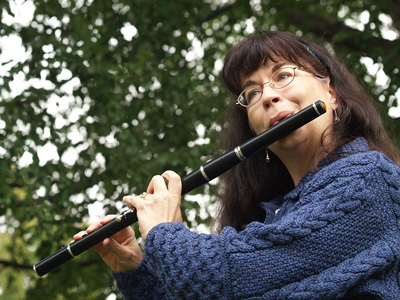 When Amy Shaw, originally a classical oboist, studied the NMM's collection of 19th-century English flutes for her master's thesis back in 1993, little did she know it would lead to a whole new musical lifestyle as a traditional wooden flute player. Join Amy and friends John McCormick (button accordion) and Brian Miller (guitar) for Winds of Change, a program of lively traditional music from Ireland, along with a few tunes from Scotland and Maritime Canada. 12:05 p.m. Free. 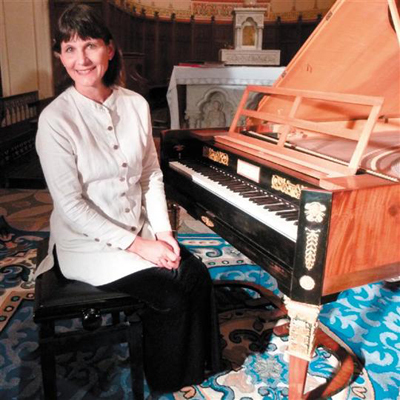 American-born keyboardist, Marcia Hadjimarkos (Lournand, France), will perform works for clavichord on the NMM's unfretted clavichord by Johann Paul Kraemer and Sons, made in Göttingen, Germany, in 1804. 12:05 p.m. Free. 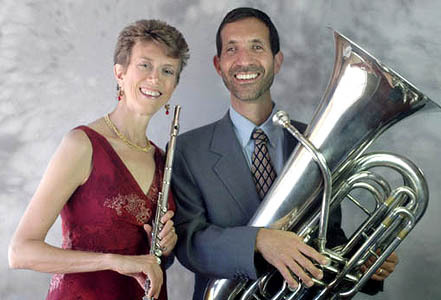 Amy Ridings and Patrick Sciannella, Phoenix, return to Vermillion once again as Double Play, the world's only professional flute and tuba duo, which has been performing throughout the U.S. since 1989. This husband and wife team, graduates of the Oberlin Conservatory and the Eastman School of Music, will present an entertaining musical program interspersed with their own unique blend of humorous and historical anecdotes. 12:05 p.m. Free. 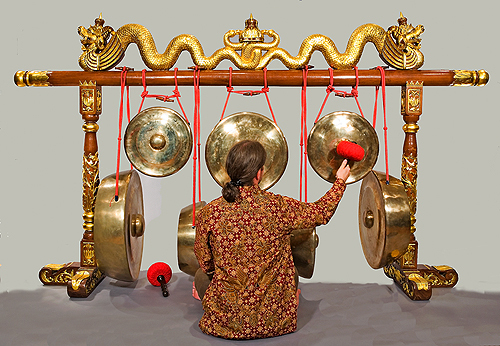 Join the Tatag Gamelan Ensemble for a Klenengan! Come and go as you please while enjoying music for study, reading, knitting, relaxation, reflection, and meditation. Bring a pillow if you want and make yourself comfortable! We hope to see you sometime between 6:30 - 8:30 p.m. Free. 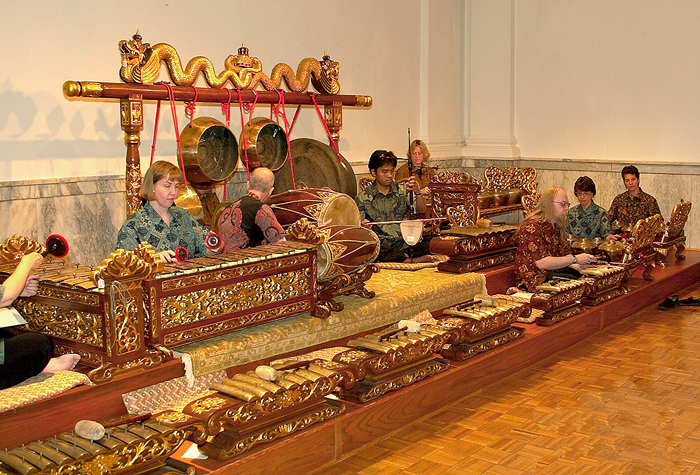 The Tatag Gamelan Ensemble brings the music of Java to Vermillion in their annual spring gamelan performance. 12:05 p.m. Free. 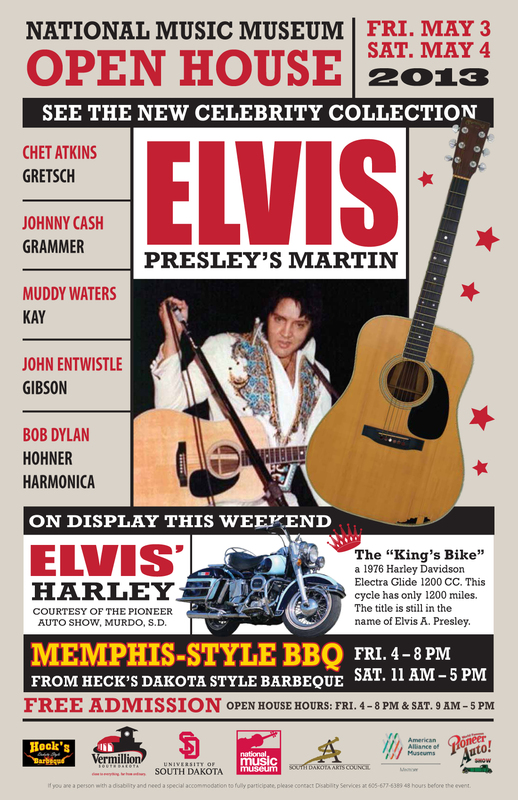 Join us for the unveiling of some spectacular new celebrity guitar acquisitions, including one played by Elvis Presley, at our Open House on Friday, May 3 (4-8 p.m.) and Saturday, May 4 (9-5). 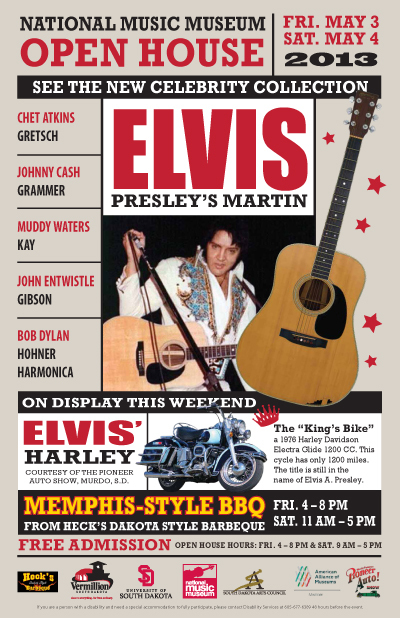 You'll also be able to see Elvis' Harley motorcycle, which is traveling to Vermillion from the Pioneer Auto Show in Murdo, SD. Heck's BBQ will be serving a Memphis-style Barbecue both Friday and Saturday. Watch the NMM's Facebook page for additional information and opportunities to claim one of a limited number of free vouchers for the BBQ! 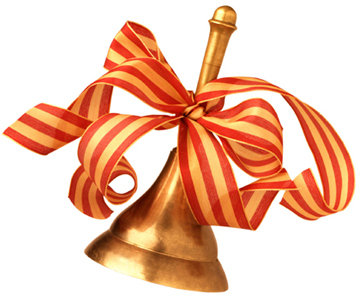 Admission to the NMM will be FREE all day Friday and Saturday. Sometimes just for fun . . . 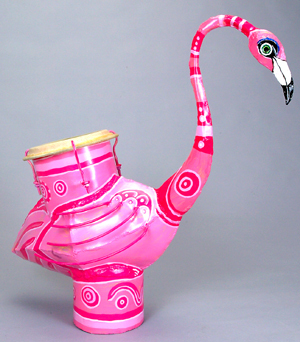 Discover more than 70 unusual instruments in a special exhibition that explores some of the museum's Seuss-like holdings, as well as new and unusual musical instruments, instruments made from found objects, experimental musical instruments, and even some whimsical curiosities. Exhibition design and development by Margaret Downie Banks, Senior Curator; Deborah Check Reeves, Curator of Education and Woodwinds; Ana Sofia Silva, Graduate Assistant; and Matt Zeller, Graduate Assistant. These instruments are just waiting for you to explore. Wiggle your fingers, blow with air like sighs. 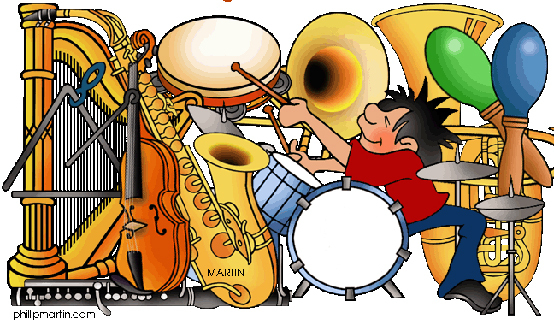 Imagine playing these instruments and hear with your eyes. Take a Seussical look at the Shapes of Sound! 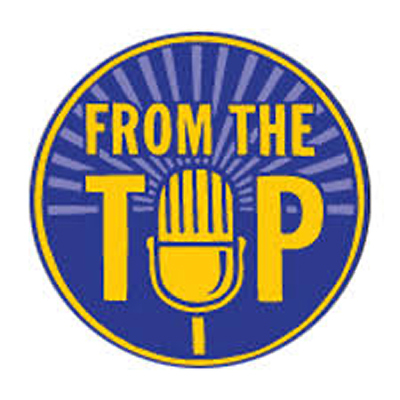 To celebrate the launching of the National Music Museum's 40th Anniversary year, experience the unexpected delight of a live taping of NPR's radio show, From the Top, with host/pianist, Christopher O'Riley. Meet extraordinary young classical musicans who will share both their incredible artistry and unique personalities. Be an enthusiastic member of our live radio audience! Tickets: purchase online at Eventbrite or call the National Music Museum at 605-677-5306. Location: Aalfs Auditorium, Slagle Hall, University of South Dakota, 3:00-5:00 PM. 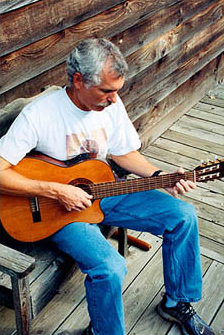 Michael Murphy (Omaha), folk singer and songwriter, guitarist and player of the Native American flute, will sing songs of social awareness, peace, and of those who have influenced his life. His music was featured in the 2008 movie, "The Battle for Whiteclay," and his CD, “Black Elk Sings,” was named “Traditional Native American CD of the Year” in 2009 by the Rural Roots Music Commission. 12:05 p.m. Free. An Eclectic Musical Journey, featuring Curtis Teague & Loretta Simonet, acoustic folk music duo from Minneapolis, features the couple's unique blend of traditional Celtic tunes, American folk songs, original music, and familiar old-time songs. 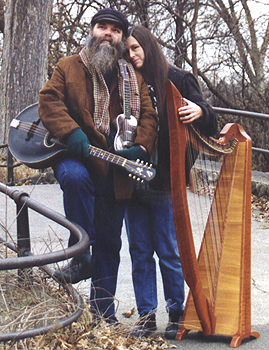 Acclaimed for their exquisite harmonies and incisive songwriting, the duo will perform on an array of stringed instruments, including Celtic harp, mandocello, mandolin, guitar, clawhammer banjo, and ukulele. 12:05 p.m. Free. 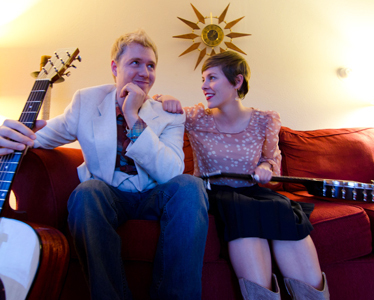 Black Hills duo Jami Lynn & Dylan James met on the street in the summer of 2012. Their fortuitous meeting not only revealed their shared love of folk, bluegrass, and jazz, but marked the beginning of an ambitious duo project harnessing Jami's powerful vocals and Dylan's first rate flat-picking skills. After a few weeks of working up material, their hearts were set on a full length album featuring songs written by each. "Cluck & Croon" was released in April of 2013. 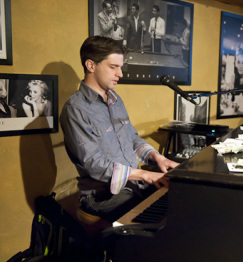 "Equal parts Carter Family, Billie Holiday, and Tin Pan Alley" as described by NoDepression.com's Mat DiRiso. Lynn's vocal prowess, delicate finger picking, and West Virginia style claw-hammer banjo blend seamlessly with James's ringing tenor, driving guitar, and old-time fiddling. 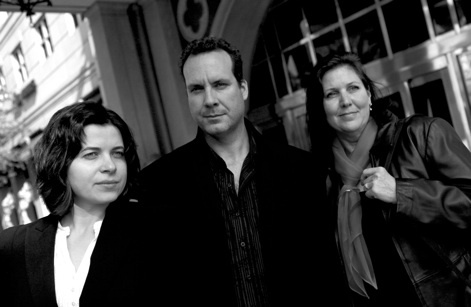 Their diverse instrumentation as well as their unique arrangements of traditional American folk songs and jazz numbers sets them on the edge of each genre. Both are native South Dakotans and are currently based out of Rapid City, SD. 12:05 p.m. Free. 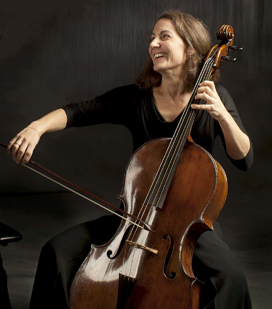 Stephanie Vial, cellist, performs regularly on both period and modern instruments. 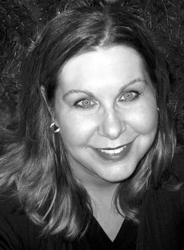 As a chamber musician and soloist, she has performed with many of the country’s leading period instrument ensembles. She has recorded for the Dorian Label, Naxos, Hungaroton, and Centaur Records. She is the co-director of the Washington DC based period instrument ensemble The Vivaldi Project and the Modern Early Music Institute, which teaches performance practices to professional string players using modern instruments. A sought after lecturer and teacher, Vial has taught at Duke University, and is currently giving a series of early music master classes at the Curtis Institute of Music. Vial holds a D.M.A. in 18th-century performance practice from Cornell University. Her book, The Art of Musical Phrasing in the Eighteenth Century: Punctuating the Classical “Period,” was published in 2008 by the University of Rochester Press’ Eastman Studies in Music Series. She is currently an adjunct faculty member at the University of North Carolina at Chapel Hill. Described as "vivacious," "exquisite," and "brilliant," the virtuoso trio Pulse (from Miami, Florida) is committed to presenting a mix of traditional, contemporary and cutting edge programming. The trio (Marina Radiushina, piano; Margaret Donaghue Flavin, clarinet and recorder; and Scott Flavin, violin) is garnering rave reviews from publications such as the New York Times and the Washington Post. 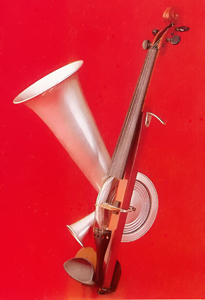 Programs are eclectic; including early music on period instruments, music composed specifically for Pulse, and clarinet trio masterworks such as Mozart, Khachaturian and Bruch. 12:05 p.m. Free. 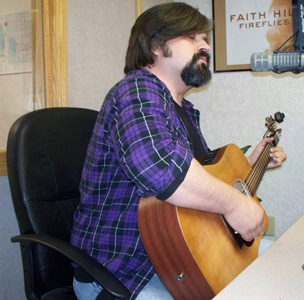 Mike Hilson is a Yankton native who started to play the guitar after the Beatle invasion. After taking jazz theory tutoring from Yankton College's Floyd McClain, he enrolled in the jazz studies program at North Texas State University. He studied classical guitar with Tom Johnson and jazz guitar with Jack Petersen, graduating in 1984 with a degree in Jazz Performance. 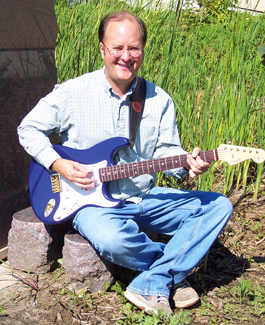 Mike began teaching guitar at University Center in Sioux Falls in 2008 and is now instructor of guitar at USD. He recently participated in a concert featuring Arthur Barrow (Frank Zappa's bass player, 1979-1982) along with students and faculty performing the music of Frank Zappa. He lives in Yankton with his wife, two cats and a dog. 12:05 p.m. Free. 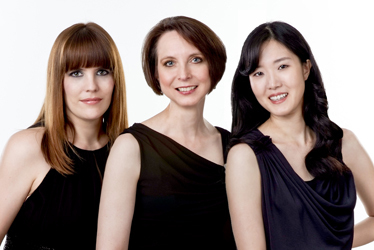 Voci Angelica (Boston) performs evocative and emotionally resonant folk music from Asian, Latin American, African and European traditions. These traditional songs are transformed into engaging original arrangements for two sopranos, cello, percussion, and piano. 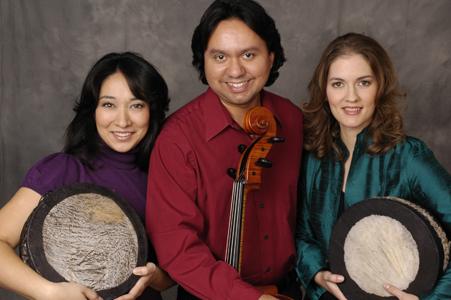 The trio has global DNA: soprano Meena Malik was born in Japan, cellist Aristides Rivas in Venezuela, and American soprano Jodi Hitzhusen has performed and studied in the Philippines, Panama, England, Canada, France and Scotland. Beginning with the folk music they learned at home as children, the Trio continued their exploration of folk music traditions around the world. Their repertoire includes songs overheard in a pub in Ireland, a YouTube discovery, and sheet music unearthed in a used bookstore. 12:05 p.m. Free. 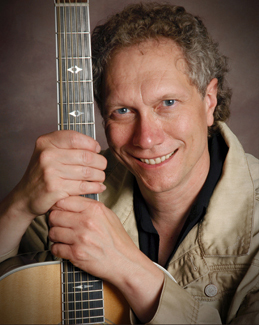 Recognized for his crafty wit and skillful musicianship, Folk/Americana musician Dennis Warner captivates audiences in over 100 cities each year with his smooth vocals and six and twelve-string guitars. An award winning musician, Warner has also performed at the Kennedy Center in Washington, D.C., in recognition of his contributions as a songwriter. His ninth and latest CD, Seeds, has been played on radio stations throughout the U.S. and in other parts of the world as well. Besides being a gifted musician, Warner is also an outstanding entertainer, cleverly blending ballads with uptempo stongs, audience participation and humor into memorable concerts. He is noted for his warm stage presence and ability to connect with his audience. 12:05 p.m. Free. 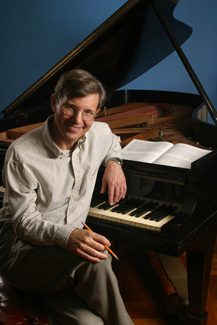 In this performance, Rob Kapilow and The Rawlins Trio contemplate, disassemble, and unlock the mysteries of that crowning achievement of Beethoven's cycle of piano trios, his Trio in B-flat Major, Opus 97, known as the "The Archduke Trio." 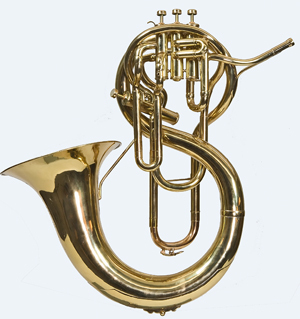 A monumental achievement considered by most to be the greatest work for its instrumentation, "The Archduke" is known for its noble grandeur and its hauntingly beautiful Andante movement. With his gift for finding the extraordinary in the ordinary, Rob Kapilow will let his audience peer into the inner workings of this magnificent masterpiece. For tickets, visit Eventbrite or call the NMM at 605-677-5306. 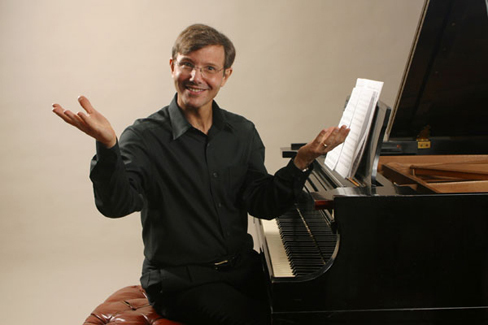 Rob Kapilow has been helping audiences hear more in great music for two decades with his What Makes it Great? series on NPR's Performance Today, at Lincoln Center, and in concert halls throughout the US and Canada. Teaming up with the Rawlins Trio of the University of South Dakota, Kapilow will present an abbreviated version of his previous night's program, exploring one movement of Beethoven's "Archduke Trio." Kapilow's down-to-earth approach makes music history easy to grasp no matter what your musical background. 12:05 p.m. Free.